Dimensions 0.50 by 5 by 7.25 in. Making Places for People explores twelve social questions in environmental design. 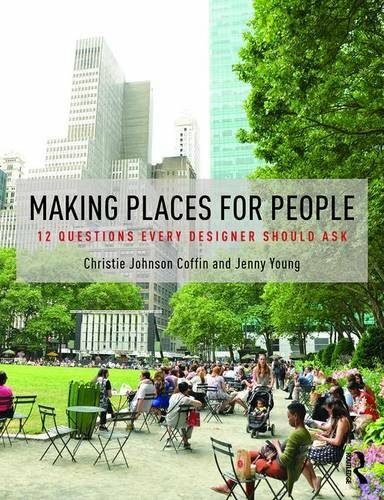 Authors Christie Johnson Coffin and Jenny Young bring perspectives from practice and teaching to challenge assumptions about how places meet human needs. The book reveals deeper complexities in addressing basic questions, such as: What is the story of this place? What logic orders it? How big is it? How sustainable is it? Providing an overview of a growing body of knowledge about people and places, Making Places for People stimulates curiosity and further discussion. The authors argue that critical understanding of the relationships between people and their built environments can inspire designs that better contribute to health, human performance, and social equityâbringing meaning and delight to peopleâs lives.